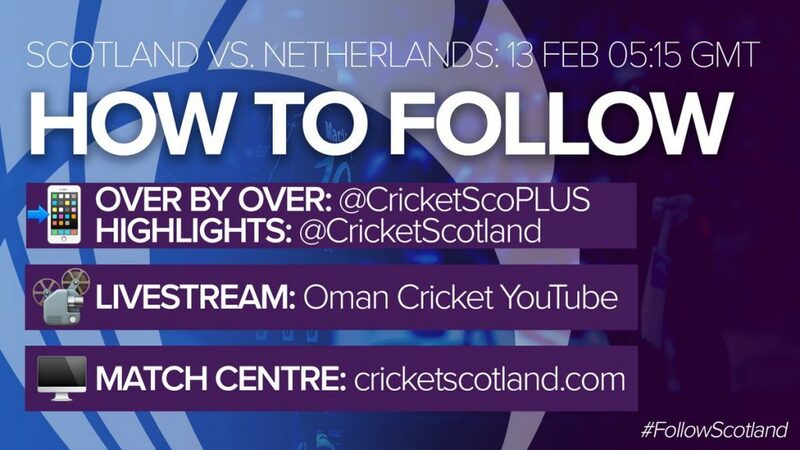 On the eve of the 2019 international season, Scotland batsman George Munsey is keen to build on a strong 2018 for himself personally in the Twenty20 format at the top level. In his last four innings in T20Is opening the batting he has scored 41, 46, 46 and 71 off just 24, 25, 29 and 34 balls respectively. For the statisticians amongst you that is 204 runs from just 112 balls and he will be looking to build on that in the coming days. The 25-year-old left handed opener is currently with the national squad in Oman as they prepare to play a T20 Quadrangular Series with the hosts, Netherland and Ireland. They then play three 50-over matches with the hosts. A 14-strong squad is on the trip being led by acting head coach Toby Bailey before new head coach Shane Burger comes in next month. Ahead of the first T20I game with old foes the Netherlands on Wednesday (5.15 GMT), Munsey – who has 23 T20Is and 16 ODIs under his belt to date – said: “Last year was a good year for me and the team in all formats with some highs and lows. “Talking about the lows first, well obviously to lose out to the West Indies when the rain came in Zimbabwe back in March was very frustrating [the team went down by five runs via DLS and missed out on the 50-over World Cup as a result]. “It was a bitter way to end what was a great tournament for us and all of the guys in the squad contributed from the moment we landed in Africa until the end. “And I still believe to this day that if the rain had stayed away myself [32 not out] and Leasky [Michael Leask, 14 not out] could have taken that game over the line. “The rain came out of nowhere and it was tough to take when it just started coming down, but putting that one low point aside I think we had such a great year as a core group. “We took our game to the next level and I think, as a result, 2019 is something for us all to really look forward to and try and take things to yet another level. The four T20 innings mentioned earlier in the feature all came in the Triangular Series victory over the Netherlands and Ireland last summer and the three sides are all now in Oman. 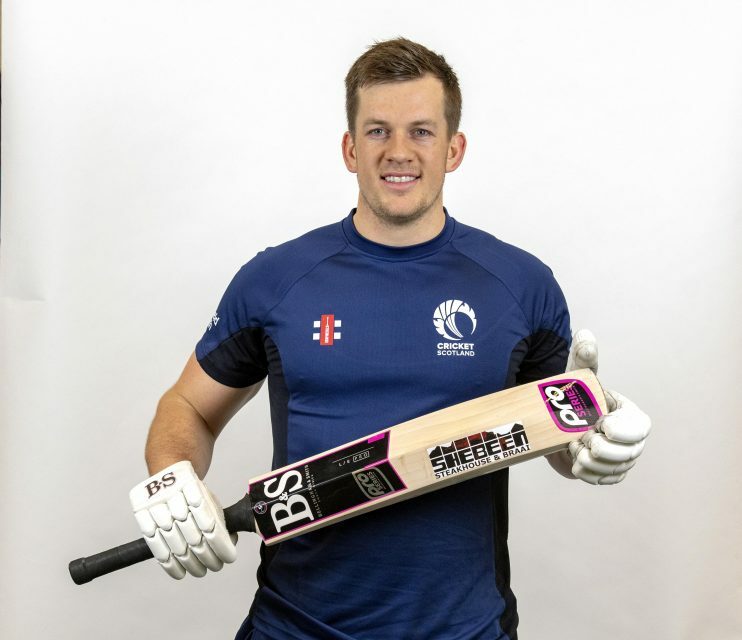 T20 cricket is evolving all of the time and Munsey, one of Scotland’s cleanest strikers of the ball, is looking forward to playing more of the format in the coming days. “There are lots of options in the T20 side and we are growing all the time,” he said while training at Westwoods Health Club At Fettes last week. “I am looking forward to getting back into the T20 form of the game because it is where I feel most comfortable and where I can contribute most to the team and we play a really exciting brand. Westwoods Health Club is an award-winning club situated within the picturesque grounds of Fettes College, one of Scotland’s leading independent schools. Established in 2002, we have gone from strength to strength, adapting to the ever-changing world of exercise, health and wellbeing. Our club offers an extensive and dynamic range of services, each staffed by our friendly, motivating and upbeat team. Our philosophy is simple: To ensure that all members experience an unrivalled level of customer care and satisfaction. The team at Westwoods offer expert professional advice, to ensure members make the most of their superb facilities on offer. As a private health and fitness club our facilities include a 25-metre competition swimming pool, sauna/steam room, state-of-art fitness suite, crèche, multi-purpose sports hall aerobics studio, physiotherapy, beauty therapy, café, outdoor tennis court and the all essential FREE secure parking for the duration of your visit. Westwoods is much more than just a place to exercise. It’s a place for you to socialise and relax with your friends and family.